Hello guys, especially First bank customers, have ever waited forever to get a transaction history that you need for business purpose? Most a times this transaction history for each transaction get delay or never come through. 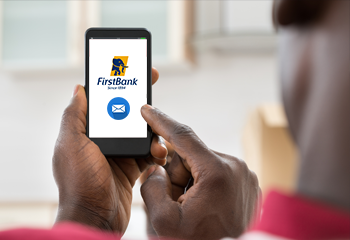 First Alert from First bank is another features that fasten getting transaction history on your phone and email within a second. Immediate notification of transactions: The respond time in getting any transaction is very fast. No delay on any transaction. Keeps you informed of activities on account 24/7 availability. You get inform 24hours and 7days non stop on your transaction carry out. To get First Alert working on your account, just visit any firstbank branch closer to you and request for it.